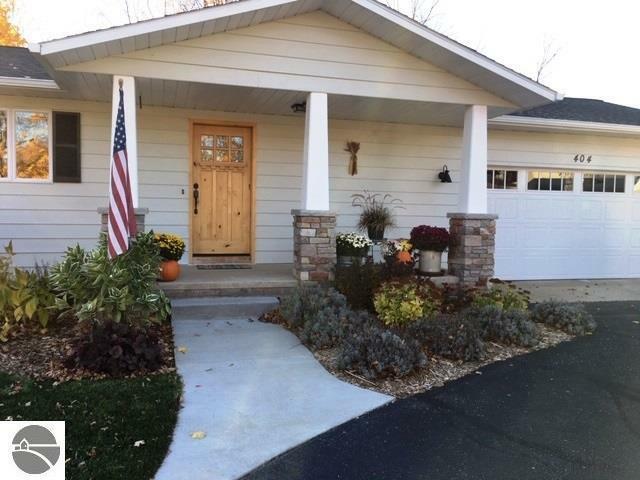 Don't miss this charming home on the desirable West side of Elk Rapids! So many updates - new roof in Fall of 2018, like new stainless steel appliances, new paint, floors refinished, new countertops, updated furnace, water heater, as well as the crawl. This property is tucked into a beautiful neighborhood just three blocks from the bay. Enjoy this one level/open floor living with 2 bedrooms and 2 baths on a double/corner lot. Br2 Size: 13'3" x 12'9"
Kit Size: 9'5" x 8'9"
Liv Rm Size: 29'3" x 12'9"